This post is going to be a bit different since the product I want to talk about is one that I just received today and didn't have a chance to try it out yet. 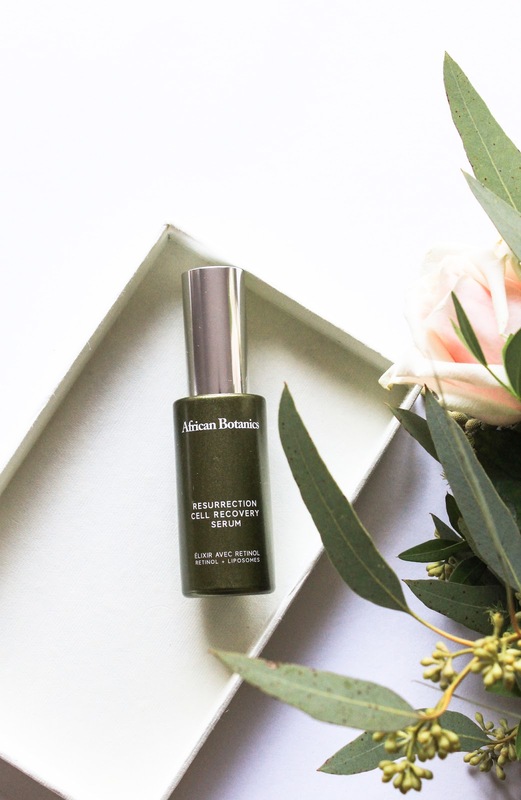 It's the African Botanics Resurrection Cell Recovery Serum which you can get in the October Boxwalla Beauty Box*. Since I fell madly in love with Fleurs d'Afrique Intensive Recovery Oil, from the August Boxwalla box* (review here), and since today is the last day you can get the box for $49.95, I simply have to write this short post. I feel the need to bring it to your attention because Fleurs is hands down the best oil I have ever tried (and I've tried a few!) and I think this serum is pretty special too. Fellow Boxwalla ambassadors already love it so I think I can't go wrong recommending it to you. In October Boxwalla Beauty Box we continue our discovery of the incredible work of African Botanics (truly an amazing brand!). The box is themed 'The Intrepid Pattern of Plants' and it features African Botanics Resurrection Cell Recovery Serum. Check it out here. Like I said in my previous review (see here), African Botanics' founders Julia and Craig Noik are from South Africa but have been living in Los Angeles since the 90s. African Botanics is a brand that screams luxury and is unlike any brand I've tried before. Well to be completely honest I've only tried one product from them but that one seriously knocked my socks off. The price of Fleurs is bonkers but so are the overnight results I get with it. I'm speechless. It is safe to say that I have high hopes for the serum. 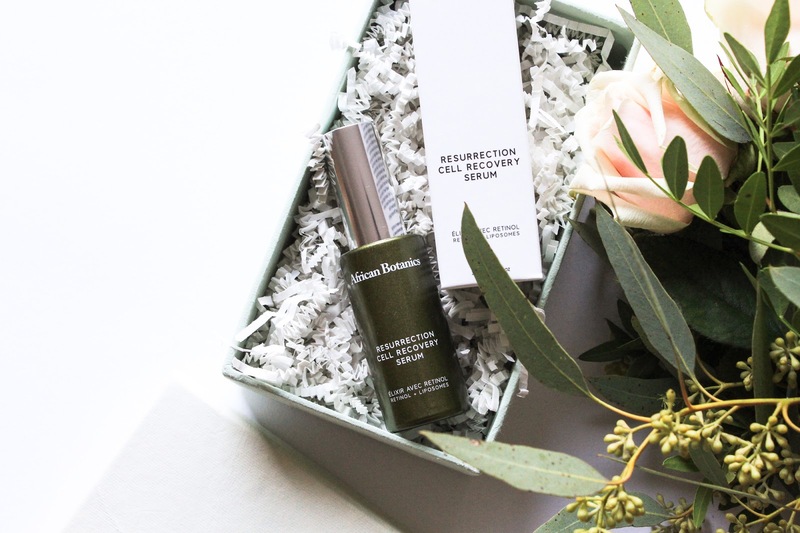 Resurrection Cell Recovery Serum is named after this amazing plant, Resurrection Plant, which is said to be one of the most miraculous African reviving plants. It grows under extremely dry conditions in the arid mountains in Sub-Saharan Africa and is known for its powerful skin regenerating, healing and medicinal benefits. The plant adapted to the dry conditions of its natural habitat by developing an amazing survival strategy called reviviscense. In the dry season, during the process of desiccation & apparent "death", the plant's cells produce a sugary substance known as 'Trehalose', which allows them to rehydrate and restart their activities. In the serum, the Resurrection plant prevents cell aging, thus helping to protect skin from visible harmful effects of stress. This highly regenerating nightly treatment has a base of Water and African Aloe Ferox also known as bitter aloe indigenous to southern Africa, which is not only hydrating but also prevents the degradation of collagen connective tissues. The serum includes plant based Peptides, Retinol Liposome and Resveratrol, that help smooth lines and wrinkles. There is also Hyaluronic Acid, Gotu Kola, Arnica, Cucumber, and more. 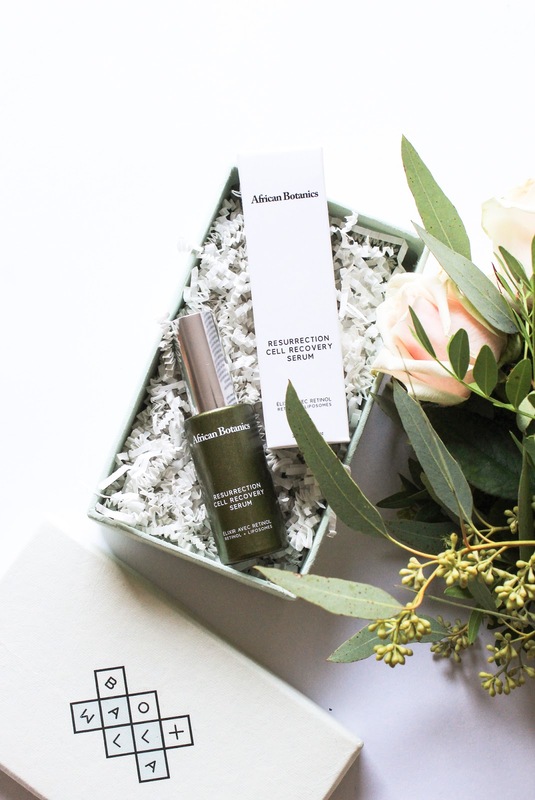 Not only is this serum said to be hydrating, firming and plumping but it is also brightening. Suitable for all skin types. It has a milder scent than Fleurs and it kinda smells ginger-y. It has quite a thick gel consistency and it sink into the skin very quickly. More to follow in a few weeks. Check out the Resurrection Cell Recovery Serum here. The October Boxwalla Beauty Box is valued at $160. Subscribe to Boxwalla to get it for $49.95 (you can do so here). I love that you only have to pay for one box at a time and you can easily cancel your subscription whenever you want (they recommend doing so before the 20th of the preceding month). You also always know what you will receive, the brand and the product(s), so there are no surprises and you can make sure to curate your own collection of products featured in Boxwalla to your taste. Get the October Boxwalla Beauty Box here.